Congresswoman Alexandria Ocasio-Cortez, D-NY, wants to insert government into every aspect of your life, from education and health care to the kind of car you drive—and she’s not alone. Millions of other Millennials agree that the world would be a better place if government were empowered to dramatically increase taxes and regulations and create massive new federal programs that could take care of Americans from the womb to the tomb. 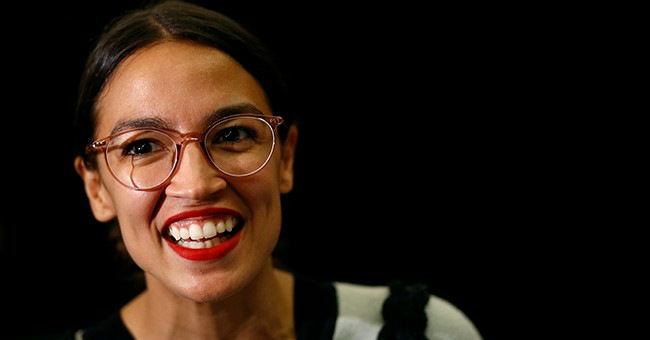 In fact, a 2018 Gallup poll found more than half of Americans aged 18 to 29 now view socialism positively. Only 45 percent said they have a positive view of capitalism. The real question isn’t whether these socialist tendencies exist, but rather why they exist. How is it that the same generation that has benefited more from capitalism than any other in human history is also the generation most willing to destroy it? One of the most commonly expressed answers to these questions is that America’s higher education system has turned into a bastion for leftist thought. A 2018 study of more than 8,600 tenure-track professors by Brooklyn College professor Mitchell Langbert found registered Democrats outnumber Republicans at 51 of America’s leading liberal arts colleges by a ratio of 10.4 to one. As important as bias on college campuses is, it’s only one piece of the puzzle. Much of the problem goes back much further, to K–12 schools, where only 27 percent of teachers identify as Republicans, according to a national survey by the Education Week Research Center. Not only are K–12 teachers more likely to vote for Democrats and favor left-wing causes, socialist ideas permeate nearly every aspect of government-run schools. From their earliest days, young students are taught by modern state curriculum standards to be cogs in the societal wheel rather than independent thinkers. The educational focus is often placed on performing well on standardized tests and memorizing facts, not learning how to make difficult moral choices or cogent arguments with classmates. Young children are constantly told “sharing is caring,” and students routinely “earn” participation trophies for merely showing up. Influential education “experts” like Alfie Kohn denounce the use of rewards in education, even calling them “destructive.” In many schools, students don’t earn letter grades anymore. We wouldn’t want the poor-performers to feel badly! Most children no longer extensively read the literary classics, which include a wealth of resources, and many high schoolers spend little time enrolled in civics or history courses compared to classes that focus on mathematics, science, or technology. And when they are in history classrooms, they are often bombarded with left-wing historical revisionism that turns American heroes like George Washington into racist moral monsters. And these examples are just the subtle forms for educational socialism. In many public schools, teachers are outright hostile to conservative ideas and openly embrace radical left-wing positions like single-payer health care. Given the state of the current educational system, it’s not surprising that many young people identify with the collectivist principles of the far left and not with the rugged individualism that has been the foundation of American life for centuries. Our children aren’t being taught the same principles the American Founders were taught when they were kids; children today don’t even read the same books the Founders read. Is it any wonder then that they don’t think the same way John Adams and Thomas Jefferson did? In recent decades, millions of American families have bravely moved their children out of the government school system, often at great cost, to escape the increasingly radical nature of the public education system. More than 1.7 million kids are now homeschooled, significantly more than in the 1980s. These are undeniably positive developments, but the overwhelming majority of students are still trapped in left-wing schools, and unless parents have the financial means to move them out, they’re going to stay there. All this isn’t to say that hope is lost, however. America has drifted to the left before—most notably in the progressive era of the early twentieth century—and then subsequently rediscovered its identity. But if we’re going to save Millennials from socialism, conservatives can’t stay sitting on the sidelines, hoping their children and millions of others suddenly realize socialism is a flawed idea. One vitally important public policy solution is the passage of education savings accounts, which allow parents to use much of the taxpayer money that would have been spent on their child in a local government school on tuition and fees at another school, public or private. Parents could even use ESAs to homeschool their children. ESAs are a good first step toward fighting back against socialism in public education, but it’s not enough to provide students with opportunities to change schools. Wealthy conservatives who believe in the power of free markets and individual liberty need to start building new K–12 schools and colleges as well, so that parents have options that extend beyond their local government-run school. To rescue America from socialism, conservatives also need to devote significant resources—especially time and money—toward teaching Millennials about the dangers of socialism and the value of free markets. This can be achieved by launching new publications, creating videos and podcasts, and spending more time on college campuses—all of which we’re trying to accomplish at StoppingSocialism.com. We need a massive multi-faceted, multi-organization campaign against socialism, and everyone can play a part, especially student groups like Students for Liberty, Turning Point USA, and Young Americans for Liberty. We can’t afford to continue closing our eyes to this growing problem and wishing for the best. We must act now. Time is running out. Justin Haskins (@JustinTHaskins) is the executive editor and a research fellow at The Heartland Institute and the editor-in-chief ofStoppingSocialism.com.